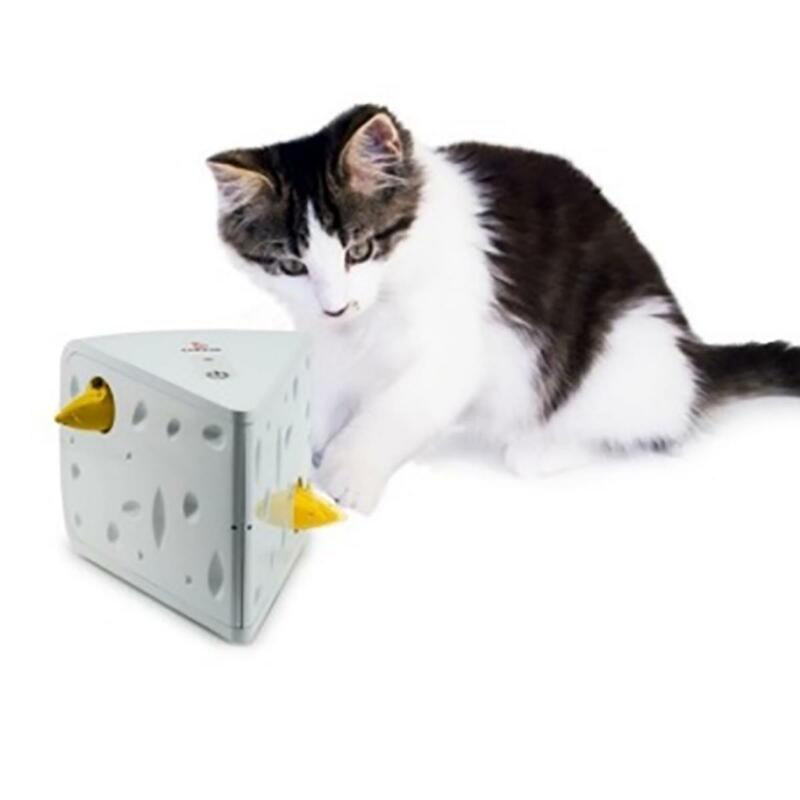 Your cat will love to hunt for mice in this interactive Cheese Cat Toy! 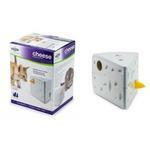 Cat love to chase down mice, and with the Cheese Cat Toy they can do that and not lose them. Set a timer to make playtime random or when your around to watch them. 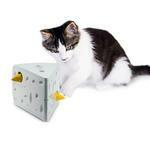 Automated game has two mice one on either side that pops out to get feline attention. Requires 3 AA Batteries(not included). Great fun for your feline.